Dr. Bryan G. Forley is a plastic surgeon certified by the American Board of Plastic Surgery. 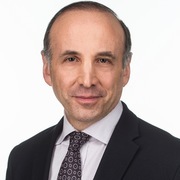 After graduating from Brown University in 1979, Dr. Forley received his medical degree from the Mount Sinai School of Medicine and trained in general surgery at New York University Medical Center and the Mount Sinai Medical Center. His residency in plastic surgery was completed at the Saint Francis Memorial Hospital in San Francisco and was followed by an aesthetic surgery fellowship with Dr. Bruce F. Connell and a craniofacial surgery fellowship in London, England. Dr. Forley is in private practice in Manhattan with an office on the Upper East Side. He specializes in cosmetic surgery of the face, eyes, nose, breast, and body as well as Fraxel®laser resurfacing, Nordlys photorejuvenation, Ultherapy®, FaceTite/RFAL, BOTOX® Cosmetic and injectable fillers such as Juvederm®Ultra, Juvederm® Voluma, Juvederm® Volbella, Restylane® Silk, and Sculptra® Aesthetic. Sólo tienes que subir tres fotos estándar ahora para ver una simulación 3D en tu próxima cita con Bryan Forley. Visualiza tu cuerpo o rostro actual en 3D antes de la consulta y obtén acceso desde casa a tu nueva imagen después de la consulta para poder compartirla con amigos y tomar una mejor decisión. Después de la consulta, Bryan Forley puede darte acceso para ver tu "nuevo yo" desde casa, con tu propia cuenta Crisalix. Esto te permitirá compartirlo con tu familia y amigos o con cualquier persona a la que quieras pedir opinión.